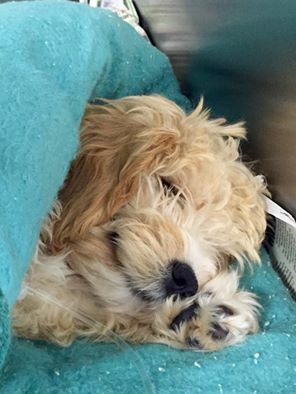 Peggy, a 4 month old cockapoo puppy was brought in to The Vet in Liverpool after hurting one of her back legs while playing with another dog. Poor Peggy was so sore that she couldn’t even put her foot down on the ground so they were immediately suspicious that she may have broken a bone. 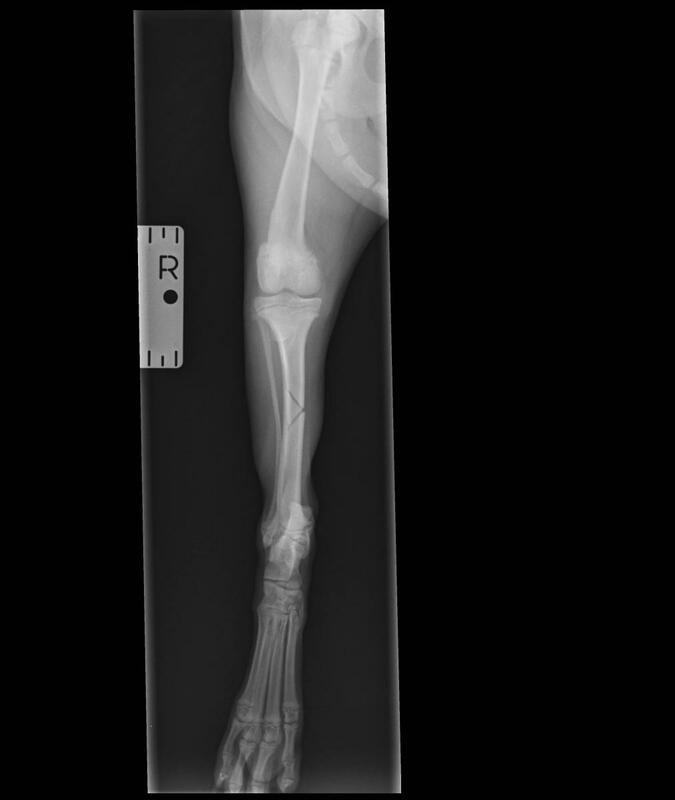 The vet took some x-rays which showed a nasty fracture to the right tibia, the bone below her knee. 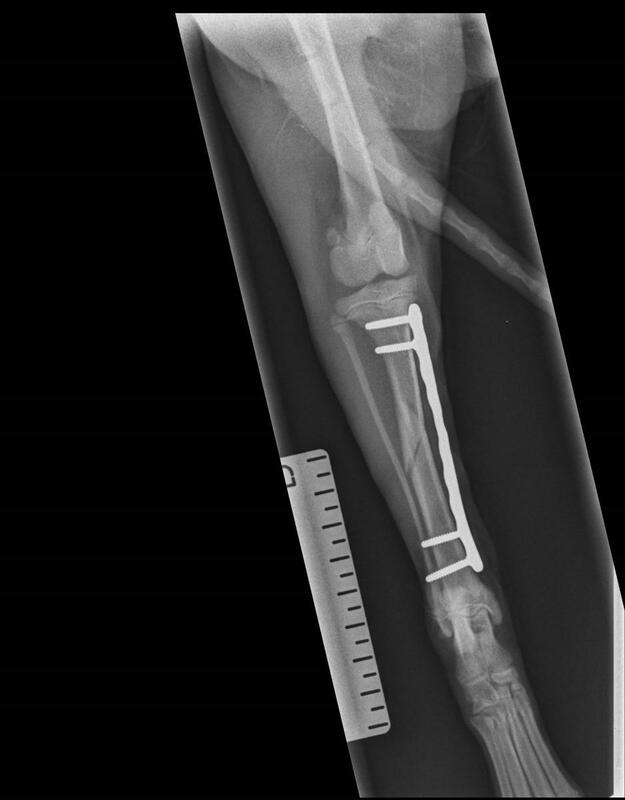 The best option to allow Peggy to have a full recovery and regain normal function of the leg, was to have an operation to repair the broken bone. Our specialist bone surgeon performed the surgery. Using a metal plate and screws he was able to stabilise the bone to allow it to heal in the correct position. Peggy recovered very well from the operation and just the next day she was starting to use her broken leg again! The Vet Liverpool saw her for another checkup 9 days after the operation and she was like a new dog, walking around the consultation room as if nothing had happened. The period immediately after the operation was crucial for Peggy’s recovery. Strict rest after a fracture repair surgery is essential in order to prevent the metal implants from moving or the bone fragments from becoming dislodged. Peggy was only allowed to go out on the lead in the garden for the first two weeks before slowly building up her exercise levels over the next month. She was not allowed to go up and down the stairs or to jump onto the sofa or into the car in the weeks following the operation. Her owner’s did a fantastic job of keeping her quiet, calm and well-rested, allowing the bones to heal nicely. Hopefully Peggy won’t be so unlucky next time she’s playing in the park with other dogs!